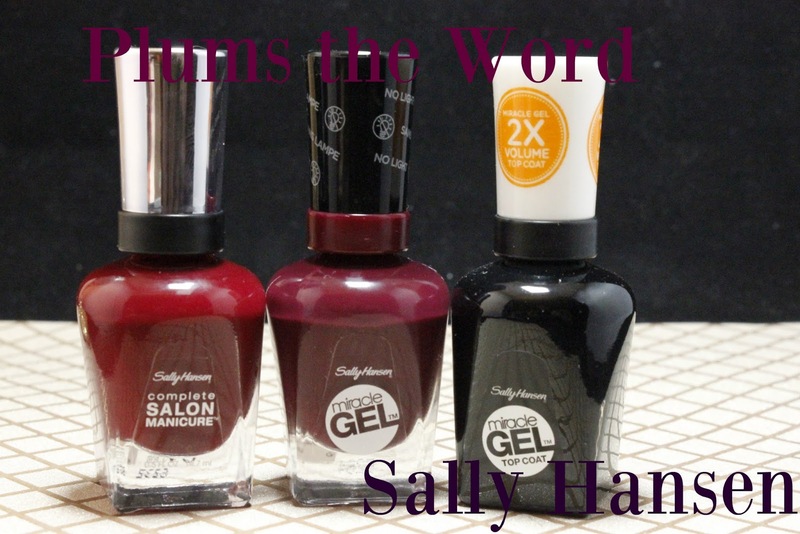 Plums the Word... Says Sally Hansen! 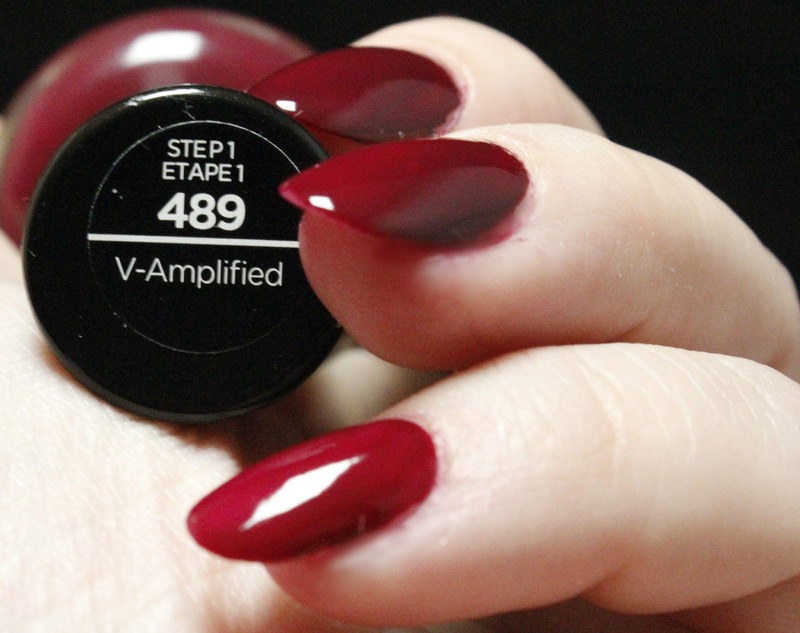 I am so glad to get into the vamp season! 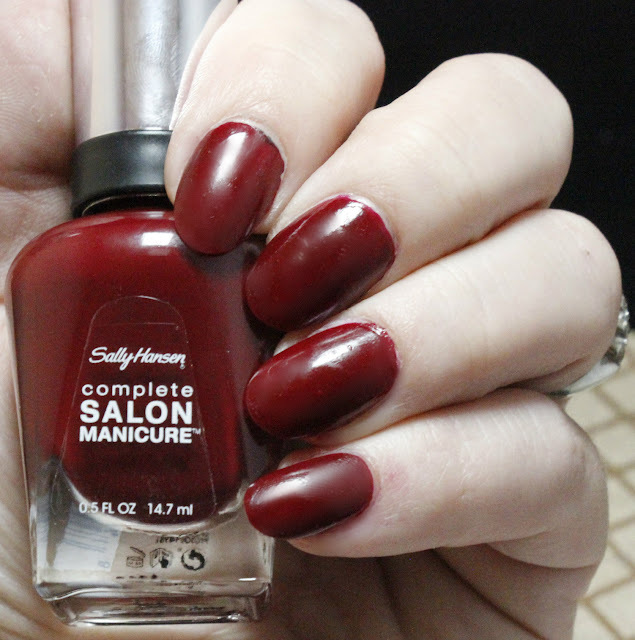 Sally Hansen is showing off some of their vampiest shades with Plums the Word collection. 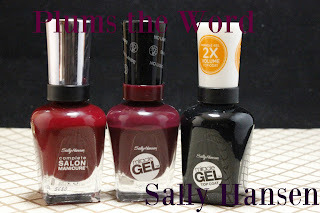 I am showing off one of the Sally Hansen gel polishes and one of the Sally Hansen Complete Salon Manicure colors. 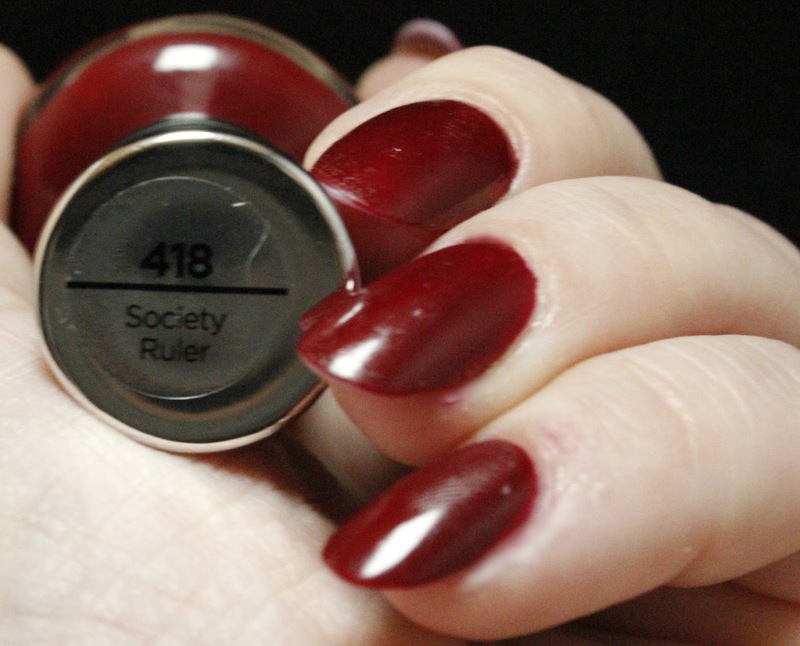 This is a rich burgundy creme that just screams sweater weather! I love the Complete Salon Manicure collection because they usually are one coaters and their brushes are just perfect. I have been wearing this one to work to help ring in all this cold weather we have been getting. I love the way it looks on my skin tone. I think this color looks great on anyone. It's so versatile. 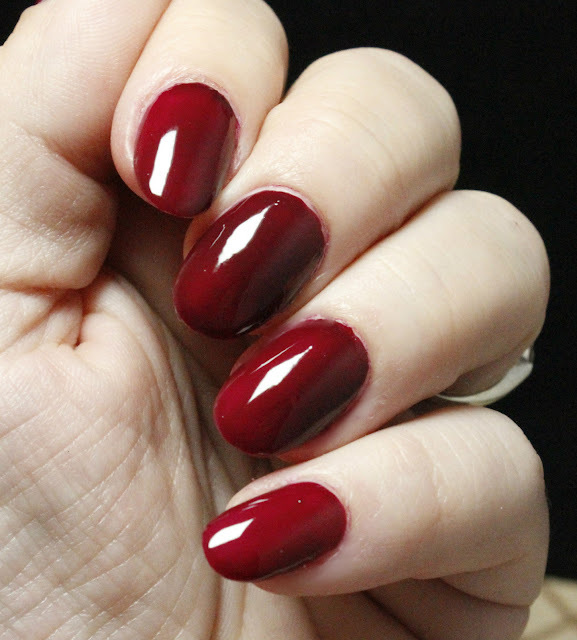 This beauty from Sally Hansen gel is a rich maroon. 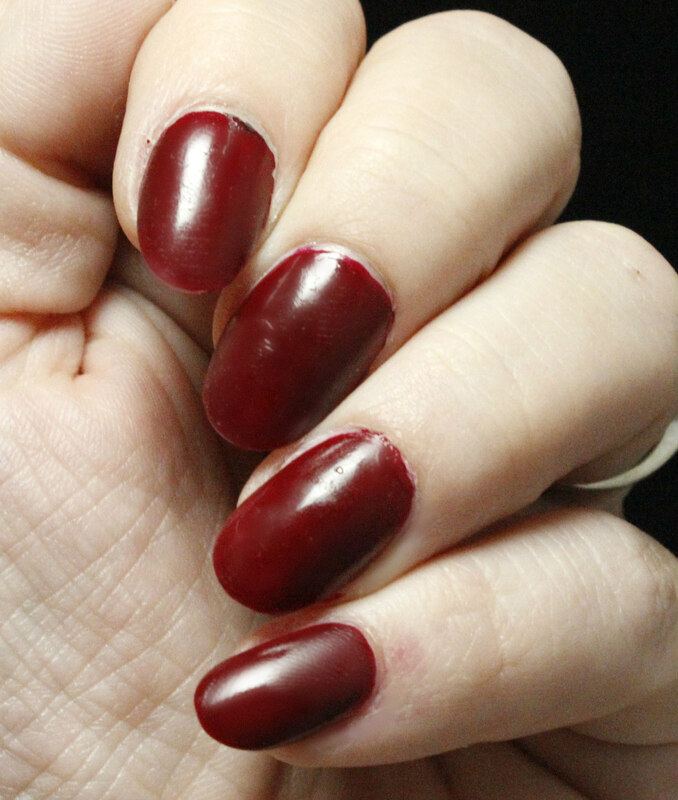 It is super close to its Salon Manicure sister above, but it's the gel form. If you haven't tried any of the Miracle Gel polishes from Sally Hansen, you should. There are so many colors to pick from and they are complete in two each steps. Step 1 is the color and Step 2 is the complete top coat. Thin layers is the key to perfection with this kit. Both of these colors are pretty old and have been on the market for quite some time so you should be able to find them online fairy easily. They also may be in your local drugstores for your viewing availability. I love dark vampy shades this time of year. Sally Hansen is probably my favorite polish of all the brands. I love those pro wide brushes.